Bringt ein bisschen Zeit mit, da das Entwickeln nur in kleinen Gruppen möglich ist. 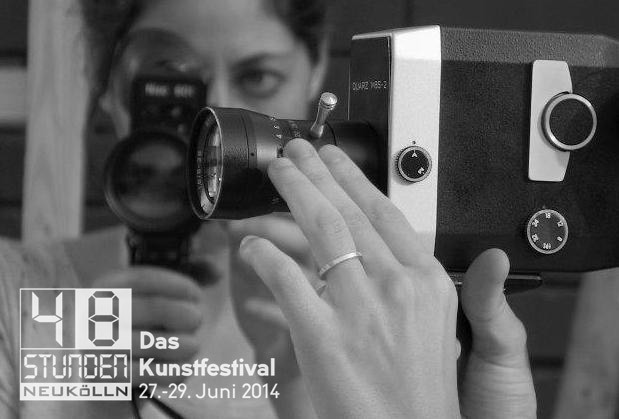 Learn how to develop and shoot your own Super8 film, supported by Labor Berlin. We start the workshop on Saturday at 11am, you will shoot a 3 1/2 minute film and develop it. On Sunday afternoon we’ll show the finished work. There’s a 20 Euro charge for the film materials, the course is suitable for all grown ups. Please pre-register until 19.6. via email verena@wolfberlin.org as there’s a limited number of places available. Bring along a bit of time, as the developing is only possible in small groups.